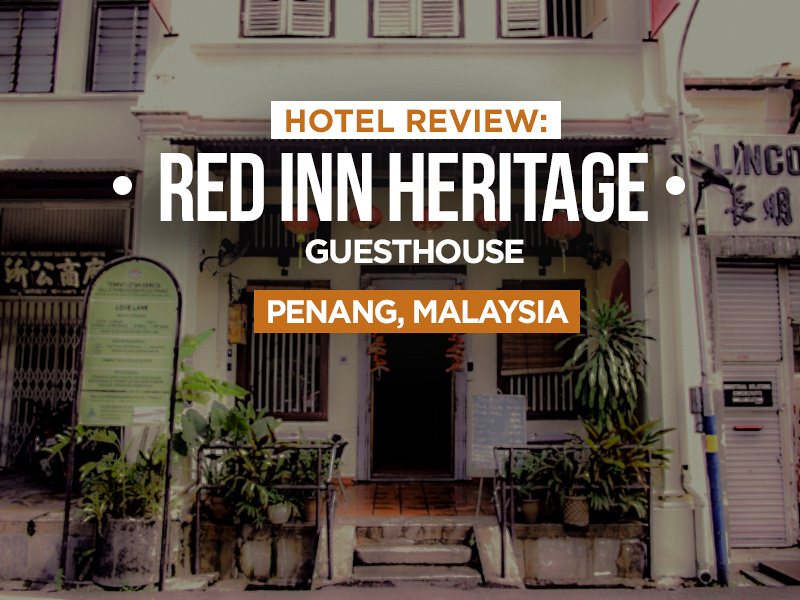 I stayed at the Red Inn Heritage Guesthouse in Georgetown, Penang. I booked on Agoda and selected it for its location and price. If you had to pick a central place to stay in Georgetown it would probably be at Love Lane and Lebuh Chulia (the unofficial main street of Georgetown). Love Lane has a cluster of budget hostels and guesthouses which, if you arrive early enough, you can try your luck with looking for a room by walking around. These days though it’s better to book something in advance. Upon arrival I walked into the Red Inn but it was another hotel of theirs, so I went further down the road to the proper address. The Red Inn Heritage Guesthouse is – as the name suggests – guesthouse in a heritage building. The property is in the classic style of homes and shops in the old Georgetown area, with a narrow frontage and long space behind. In the front of the building is a nice common area with couches and a TV, along with a public computer (for the rare traveller without some sort of device). Beyond the common area are the rooms at the back of the building and upstairs. I got one of the single rooms with a share bathroom. 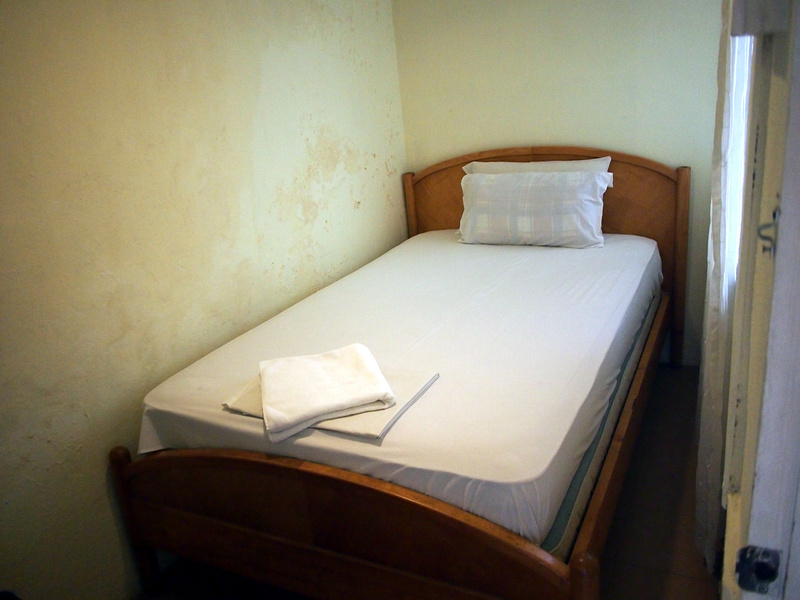 The room is typical of Southeast Asia guesthouses in that it is a private space with a bed. The mattress was surprisingly comfortable but the paint was peeling in my room, giving it a more run down feel than it actually was. This was a fan room, and internet was available in the room as well. I had two big window on the side as well, making for a welcome change from the windowless boxes. 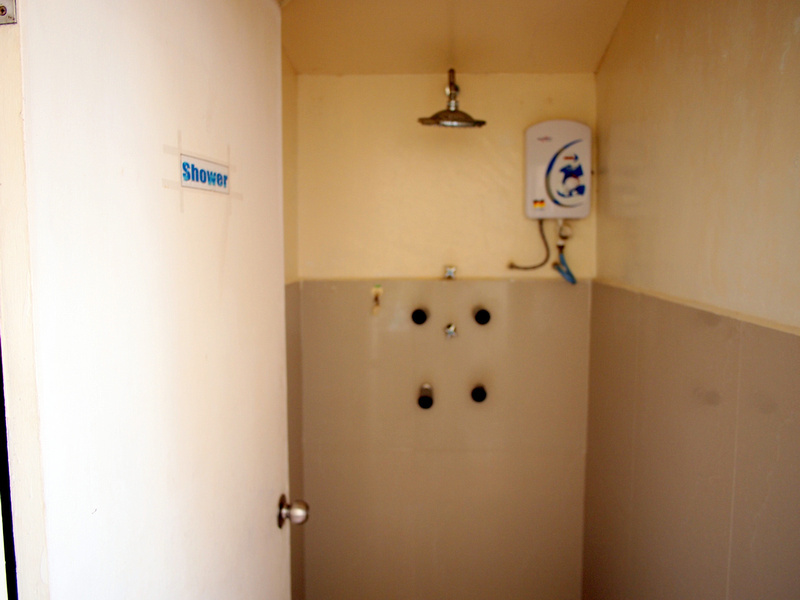 At the back of the shared room area were the toilets and showers. The showers had hot water units and were in a clean condition. 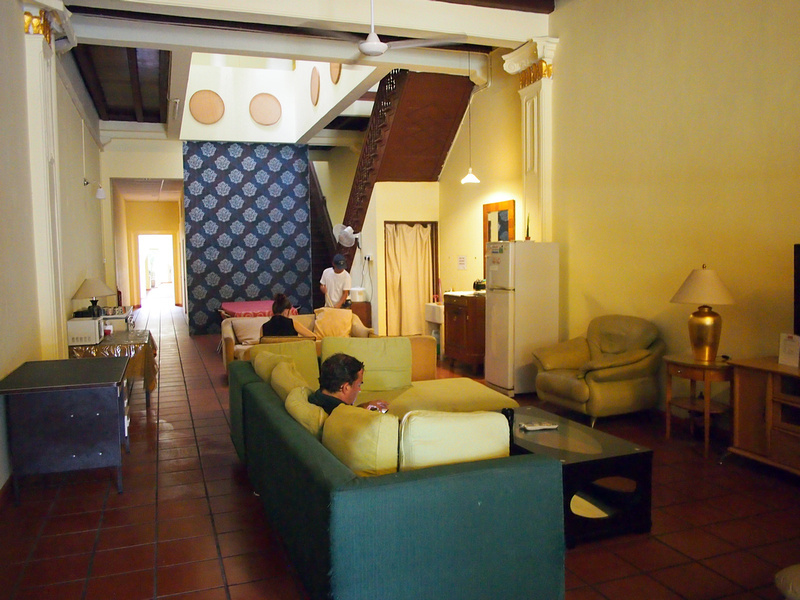 There is a breakfast provided but given that you are in Penang I would avail yourself to a delicious Indian breakfast over the standard guesthouse jam and toast on offer. 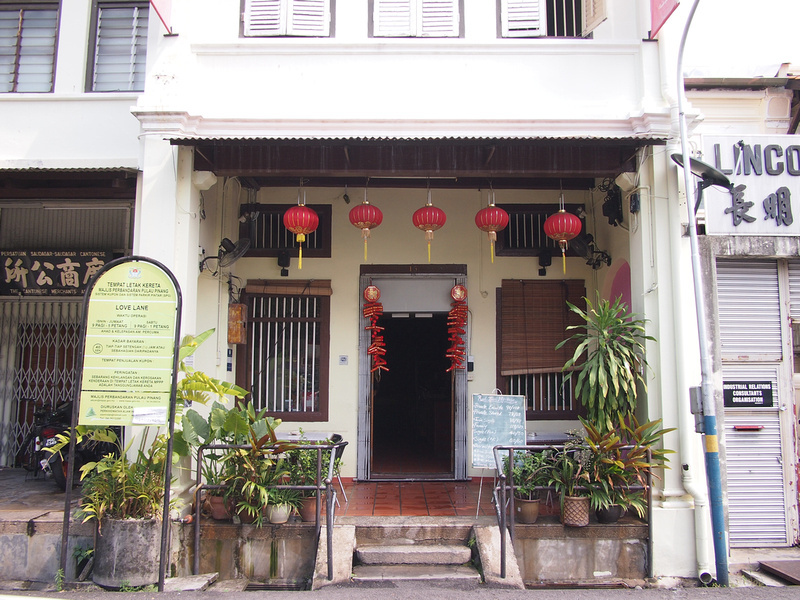 You can book the Red Inn Heritage Guesthouse online, or search for more Hotels in Penang.